Bead Size 16-22 mm diameter. See picture with penny for size comparison. Additional information: Most glass beads produced in Europe from the late 1800s to mid 1900s fall into one of three categories: wound, drawn and molded. 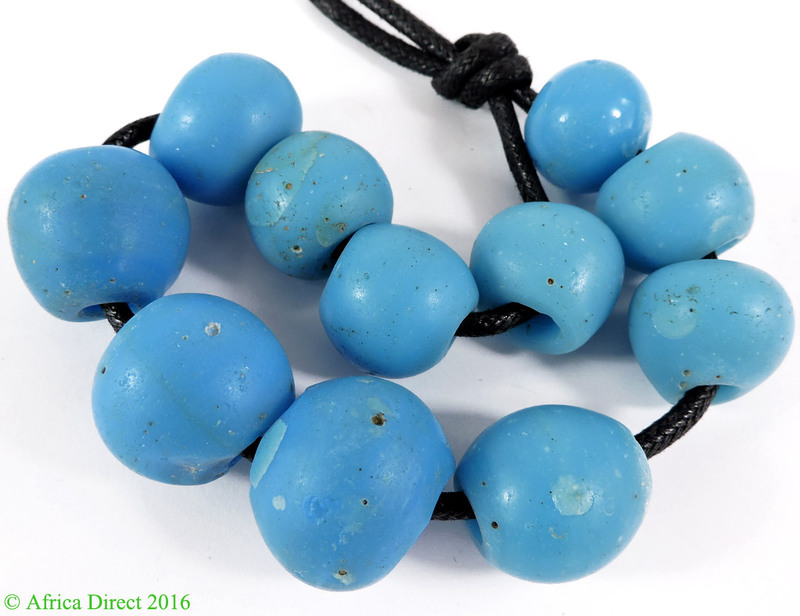 Wound beads were manufactured by winding molten glass around a metal rod until it took on the form of the finished bead. Once the glass cooled and hardened, there was no need to perforate it—removing the metal rod left a hole through which the bead could be threaded. Using the wound glass method, beads could be manufactured in small workshops without the need for massive and expensive equipment. But each bead had to be created individually, making cheap, large-scale production impossible. Because of this, another technique was developed and perfected in the famous bead-making workshops of Venice and elsewhere in Europe. In the drawn glass method, molten glass was affixed to metal plates and then drawn out by two workers walking in opposite directions. The malleable glass would stretch until it became a long thin cane which could then be cut into small sections and formed into beads. 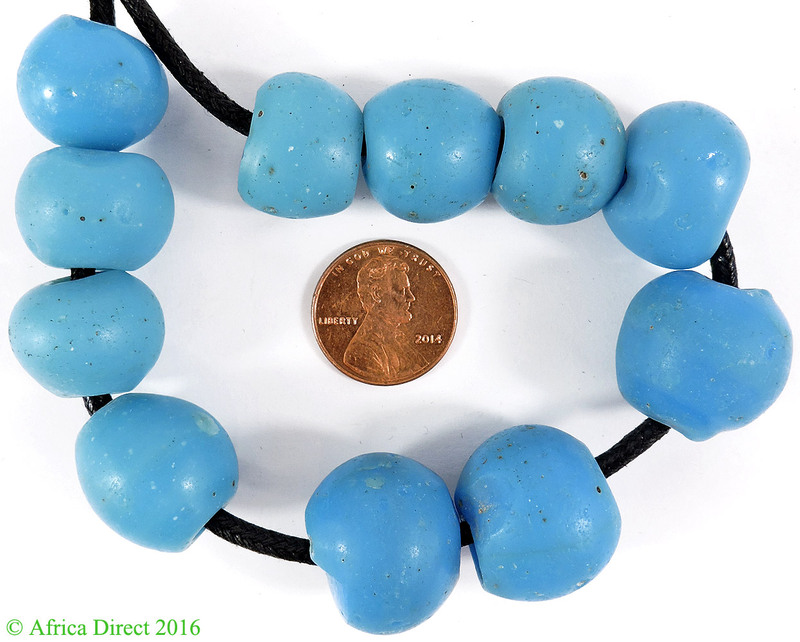 The information above is drawn primarily from Lois Sherr Dubin's, The History of Beads.